This year hundreds of thousands of Californians are eligible for the state’s first ever Earned Income Tax Credit. California’s Earned Income tax Credit (CalEitc is designed as an incentive for low and moderate-income workers and modeled after the federal Earned Income Tax Credit (EITC) which is considered one of the most effective ways to give families and individuals a hand up and out of poverty. Many Californians may qualify for both—to learn about eligibility visit caleitc4me.org/earn-it. These programs help individuals and families keep more of what they earn when they file their tax returns. In support of this effort the IRS, in partnership with nonprofit organizations, provides free tax preparation for eligible individuals through its Volunteer Income Tax Assistance (VITA) program. VITA offers free tax help to anyone whose adjusted gross income (all income after exemptions and deductions) was less than $54,000 in 2015. Nonprofit organizations statewide are working diligently on behalf of low and moderate-income workers to educate them about the CalEITC and assist qualified individuals file their income tax returns for free. One organization that has consistently led the way on the VITA program and is recognized as a true advocate for the community it serves is the Watts Labor Community Action Committee (WLCAC) in Los Angeles. This week WLCAC’s Lead Case Manager for FSC and the Site Coordinator for VITA/TCE, Chimere Anderson shared key insights regarding her organization and its role relative to the VITA program. One of the agency’s most significant findings so far this season highlighted the important role organizations like WLCAC play in advocating and educating their communities particularly in relation to CalEITC. “The majority of our clients haven’t even heard of the CalEITC being offered by the State of California,” Anderson shared when asked how aware their constituents’ are of the new tax credit; however according to Anderson, WLCAC clients are very familiar with the Federal EITC and it is the main reason they file their taxes (with the exception of retired and senior taxpayers). 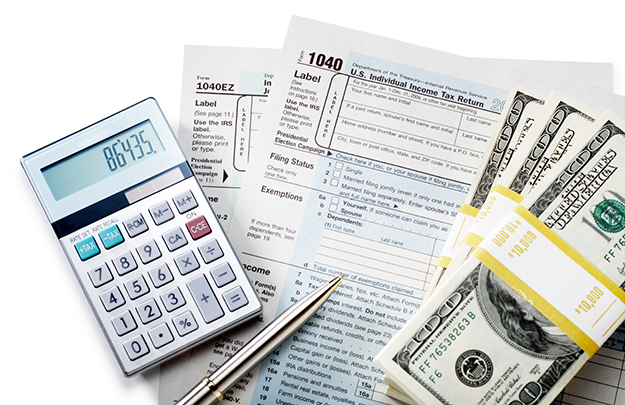 Anderson stressed how easy it is for clients to prepare for the VITA tax filing process. “All the clients have to do is make sure that they have all their tax and identification documents (ID, social security cards for taxpayer and all dependents) with them when they arrive.” She further explained it would also make things easier if taxpayers could bring their prior year tax return. Also, remember to bring Forms W-2, 1098, and 1099. WLCAC has a process designed to make the filing experience very easy and smooth. This year, WLCAC will offer free tax preparation via the VITA program through April 18, 2016–its last appointment will be 4:00 p.m. that day. The best way for potential clients to reach WLCAC for tax preparation assistance is to either call (323) 357.6262 to make an appointment or walk-in to the office at 10950 South Central Ave., Los Angeles, CA. To locate a VITA center near you visit caleitc4me.org/get-it/.